When it comes to weather, anything can happen at any time. No matter what transpires when nature takes its course, there is ALWAYS a rainbow of hope. The Chaffin family (Charlie, Amanda, and eight-year-old Samantha) were fortunately in town when the torrential downpour began. It had been over 115 years since De Beque (a desert region of Colorado) had seen rain more than half an inch from any single rainstorm. On August 4, 2014 the rainfall record (set back in 1897!) had been broken by a rare storm leaving 9/10 of an inch of rain within 17 minutes! Unfortunately, the rain took its toll on the Chaffin family property as the storm did unexpected and serious damage to their home. 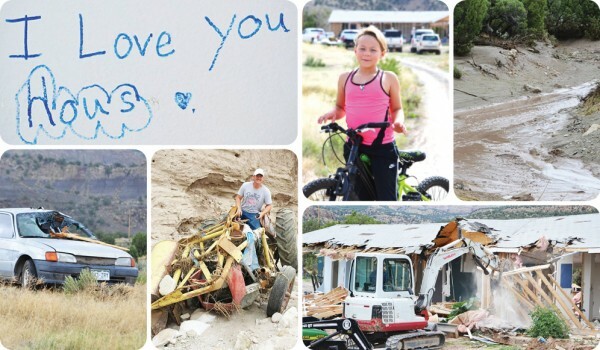 Even a 10-foot dry gulch around the Chaffin’s home did not stop the rain accumulation from wreaking havoc. The storm created what neighbors refer to as a “wall of water” which came rushing toward the home. The flash flood waters caused the family’s garage to become mobile and slam into their house, which moved it off the foundation! The deep gulch had also overflowed, and the entire property ended up in shambles. In the end, the family sadly lost their home along with much of its contents, including their tractor. 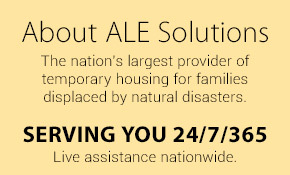 To add to the disaster, the family had home insurance. However, their property was denied coverage as this event was considered a flood. Nobody in the area had flood insurance as nothing of this magnitude had happened in their lifetime. The Chaffin’s were left alone to rebuild their home… or were they? The De Beque community rallied around the Chaffin’s, setting up a fund for the family and offering their assistance to help rebuild their home. This fund greatly aided the Chaffin’s, however due to the extensive damage there were a lot of necessary costs to help with temporary housing, building supplies, and home contents. 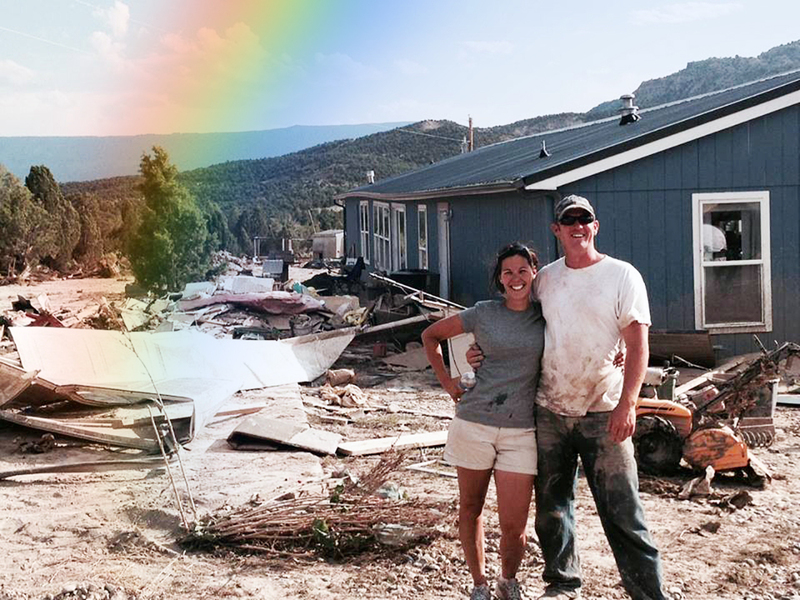 The Chaffin’s had hoped they could be on or near their property as they planned to salvage materials from their damaged residence and rebuild the home themselves with the community’s support. A single Facebook post from the Chaffin’s extended family brought the event to the attention of ALECares (ALE Solutions’ non-profit division). 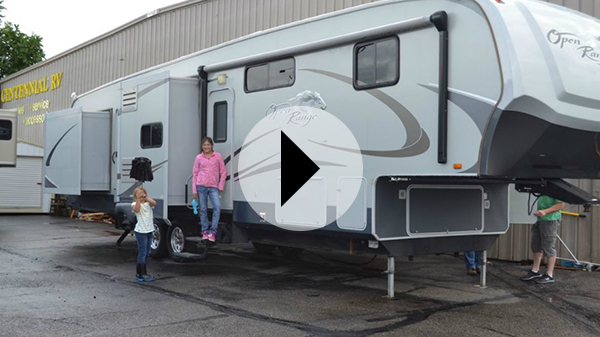 ALECares was able to secure the best possible solution for the family by providing a fully equipped travel trailer right on their existing property! The Chaffin’s now have a comfortable place to live and plenty of time to rebuild their home. The Chaffin’s have remained incredibly positive throughout their experience and have set an exemplary spirit. Please take a minute to watch the following video of “Hope” that the family sent to ALECares.